According to ABI Research, a market intelligence company that specializes in global connectivity and emerging technology, Linux-based smartphone shipments will outstrip growth of the entire smartphone market in 2010. 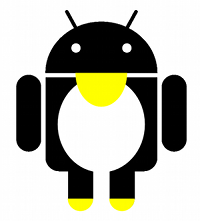 By 2015, they anticipate that the market share of Linux-enabled smartphones will be at 33%. With around 60,000 smartphones shipping per day, the success of Android can be largely credited for the rapid growth of the Linux-based smartphones. As of today, Nokia's Symbian is still the world's most popular smartphone operating system but Android is steadily catching up. Other industry leaders such as Intel and Samsung have developed their own Linux-based mobile OS that has the potential to push the growth even higher. WebOS by Palm and Maemo by Nokia are built on top of Linux. Victoria Fodale, a senior analyst says, "due to its low cost and ability to be easily modified, Linux in the mobile market today is nearly as disruptive as Linux was in server markets a decade ago,"
I think it is safe to say now that Linux and open source software will really dominate the smartphone market a few years from now. In fact, Nokia has already open-sourced all Symbian smartphone code in February 2010. Popular platforms like Blackberry and iPhone are still closed source, but who knows they may embrace the open source culture soon. The smartphone growth will rise 20-30% this year according to analysts. The rise in competition between handset manufacturers has considerably lowered the prices of smartphones and increased consumer demand as a result.